From the bustling shopping streets of Causeway Bay and markets of Mongkok to stretches of the jungle-like greenery on the Outlying Island, Hong Kong is a place best-seen al fresco. The humidity of spring and summer make this almost impossible, whereas autumn and winter are both prime times to stroll the outdoors. February is the city's coldest month, but temperatures are still relatively balmy and perfect for spending time outside. Hong Kong is also enjoyable for a different reason during February. February is typically the month of Hong Kong's most significant celebration, Chinese New Year. The date for the event moves each year based on the phases of the moon, and it either falls at the end of January or anytime in February. It's some spectacle. Apart from the fantastic Chinese New Year parade, you can catch a superb fireworks display, dragon dances, and special horse racing days. Hong Kong residents might think February is cold, but to the rest of the Northern Hemisphere, it's pretty mild for this late-winter month. This is Hong Kong's coldest month; if you are looking for better weather try October or November when you can avoid the humidity and still enjoy the sun. In February there are blue skies and very little rain, and while temperatures mostly below 70 degrees Fahrenheit won't completely warm you up, it's still mild enough to enjoy the great outdoors. It's unusual for temperatures to drop below 55 degrees Fahrenheit (13 degrees Celsius), so you don't have to worry about getting too chilly. February is also relatively dry, amassing just 1.8 inches of rain spread across five days. February is hardly gloves and earmuff weather in Hong Kong. While you'll need to bring a jacket, the milder weather is a good chance to explore the best part of Hong Kong—the outdoors. Leave the shorts and T-shirt at home. You'll want to pack sweatshirts, jeans or long pants, long-sleeved shirts or tops, a lightweight sweater for layering at night, and a jacket or two. Check the weather forecast just before you go to make sure temperatures won't dip well below average. If that's in the forecast, take a heavier coat or jacket. But you won't need gloves or a scarf. Chinese New Year is the centerpiece of February activity in Hong Kong, but this bustling metropolis is home to many other festivals and events this month. Chinese New Year: This is a fantastic celebration, and Hong Kong puts on arguably the best in the world. Dates can vary, but the most extensive celebration usually takes place at the beginning of February. Expect a holiday atmosphere and lots to see and do on each of the three days. Spring Lantern Festival: If Chinese New Year isn't enough for you, this closing ceremony of sorts is also well worth exploring. It's the last day of Chinese New Year and also known as Chinese Valentine's Day; expect to see thousands of graceful lanterns strung up across the city. Lam Tsuen Well-Wishing Festival: Part of Chinese New Year, this is among the oldest and most unique celebrations. Attendees toss paper onto wishing trees to make a wish; the higher your wish lands, the more likely it is to come true—or so the legend says. Winter bird watching festival: Hong Kong's Wetland Park hosts watch parties each year from late November through February. Each year, the events consist of various educational entertainment activities centered around the park's feathered fauna. 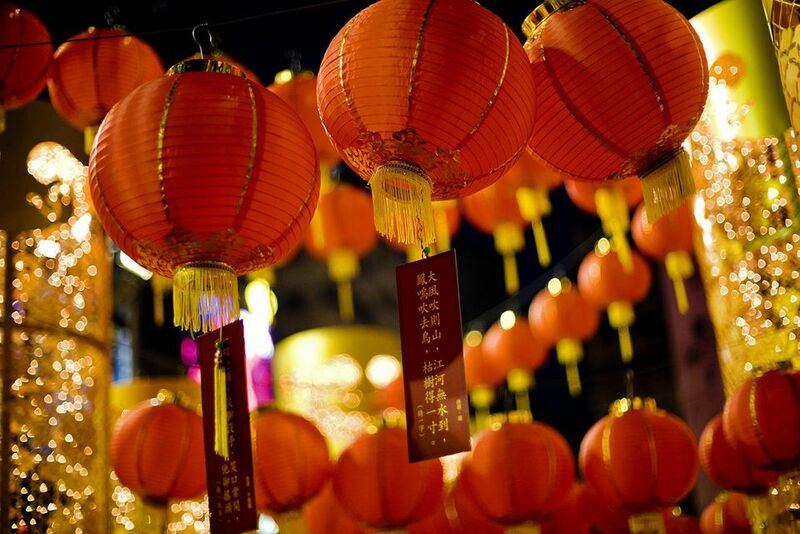 Chinese New Year can significantly increase the costs of hotel rooms and flights. Many will be booked months in advance. If you are planning a trip at this time of year, the smart money is on making plane and hotel reservations well in advance. Shops will be shut for at least three days of the Chinese New Year holiday; smaller shops will likely be closed much longer. Apart from the festivities, the city can seem quiet as families celebrate at home. If it's your first time in Hong Kong, you might want to avoid Chinese New Year. There can be cold snaps that bring temps down to 40 degrees Fahrenheit (4 degrees Celsius) in February. That could put a damper on some of your plans, and if you are renting a private apartment there may not be any heating, and it might get a bit uncomfortable. What Is Hong Kong Like in September? What Is Hong Kong Like in October? Is Hong Kong a Democratic Country?